Even more Amiga news to get through this week as we've been informed that 'Mini Legión ', which is in development by Iron Gate for the Amiga, has been announced as coming to a download near you as of next week [See Update]. This game as the second in a trilogy of small mini games will not only be released as a free download, but the developers are also going to make a number of physical boxes by request at the price of €10 + shipping costs. 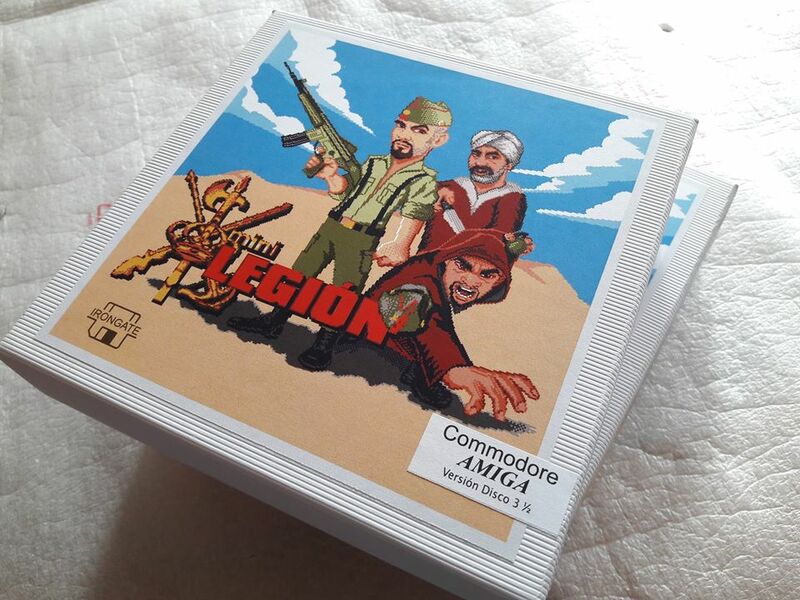 In this game you play as the legion, trained to perform all kinds of missions in a hostile environment. You must rescue the cooperators retained by the locals by any means possible. But beware, nobody will lend you help, the area is totally hostile and even the animals want you out of there, but the mission must go ahead! Can you save them? Will you find the volunteers working in the field organizing camps, digging wells, distributing humanitarian aid? Only you will make sure this is a success! This game has been created with a game editor, the graphic section made in Deluxe Paint V.
The palette for the game is 16 colors and the resolution is 320x256. It is advisable to play it in an Amiga 1200 to go at a good speed, playing it in an A500 is possible, but the game will be somewhat slow, although you can play without problem.